Congress Leader Want ED to Investigate Source of Bikram Majithia's Money Used for "Political Mileage" Congress Leader Want ED to Investigate Source of Bikram Majithia's Money Used for "Political Mileage"
Chandigarh: In a statement issued today the Cabinet Minister Sukhjinder Singh Randhawa said that Enforcement Directorate (ED) must investigate proceeds of Shiromani Akali Dal (Badal) leader Bikram Singh Majithia to know its source. It is notable that on Thursday (Feb. 7) SAD (B) youth wing in-charge Bikram Singh Majithia had hand over two cheques worth Rs 3.86 lakh to repay his loan to one Budh Singh. Sukhjinder Singh Randhawa maintained that on October 16, 2016, then PPCC chief Capt Amarinder Singh assured Budh Singh that he would be the first beneficiary under the ‘Karza Kurki Khatam, Fasal di Poori Rakam’, if the Congress comes to power. In a written statement (copy available with SSN) Sukhjinder Singh Randhawa said: “it is already under the government process and some rules have been framed to distribute such loan waiver scheme and Government doesn’t have money the way Bikram Majithia had gathered public money during SAD (B)-BJP regime”. The Minister maintained that it is very important to investigate the source of Bikram Majithia’s wealth as in SAD (B)-BJP government he has been facing “serious allegations of being mafia whether it’s drug, transport and liquor..”. “So if such money is being used to gain political mileage ED must jump into this matter to trace out the root of money”, Sukhjinder Singh Randhawa added. 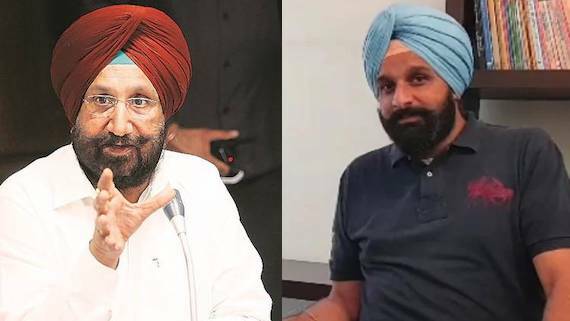 Recalling the famous Bhola drug case in which Bikram Majithia was also questioned by ED, the Congress leader said that it was important to understand whether money belonging to “proceeds of crime” should not be used for political gaining mileage. Sukhjinder Singh Randhawa said that “if Robert Vadra, brother in Law of Rahul Gandhi could be questioned on allegations of money trail, BJP has to ask ED to grill Majthia”. He said that there could not be dual standard for ED investigation and for marinating law of land, Majithia should be questioned by ED.